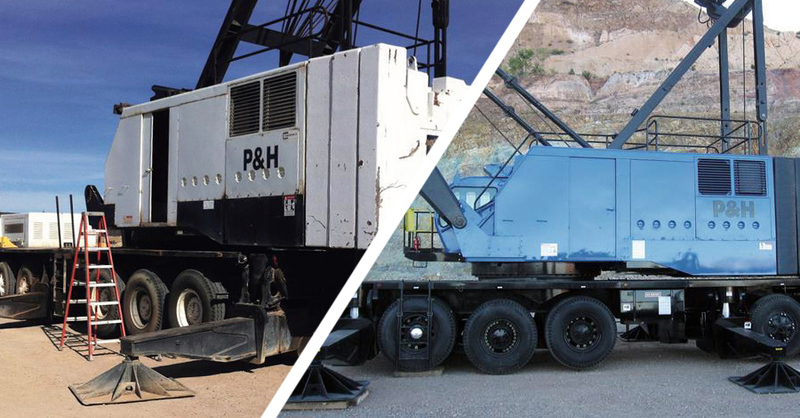 Crane owners who are considering repair and refurbishment options for their machines can save time and money by choosing the right type of company to perform the work. International Cranes Magazine recently featured an article on their website that discusses what to do when deciding to extend the life of a crane. The first thing to consider is whether to use the services of a dedicated specialist or OEM. A dedicated specialist will work on most or all types of complex heavy equipment with documented and certified repairs. An example of such company in the U.S. is Wheco, with locations in Washington, Oregon, South Carolina, California, Texas and the Marshall Islands. Wheco has served the U.S. military and Department of Defense for many years and developed labels for categorizing its work: Service Life Extension Project, or SLEP, and Inspect and Repair Only As Necessary, or IROAN. Wood says his company will work remotely with the customer to save the cost of moving equipment to be repaired. Wheco documents every part used and complies with Federal OSHA and OEM requirements. The most common jobs Wheco performs are on crawler and larger conventional cranes, with total project cost ranging from $250,000 and $2,000,000. Average time on each crane is three to six months. OEM (Original Equipment Manufacturing) shops utilize their repair and refurbishing capabilities directly at the factories where new cranes are built. An example is Liebherr. Most of their refurbishing work is conducted on trade-ins of older cranes when customers purchase new models. They accept any brand of crane as a trade-in, but only refurbishes Liebherr models before selling them (other brands are sold as-is). Though they will work on a crane that the customer intends to keep, their goal is to support new and existing crane customers instead of capitalizing on the used crane market. The decision to use a specialist or OEM for repair and refurbishment can be challenging as shown above. For more information, read the whole story: “Repair and refurbishment: Fix up, look sharp” at International Cranes’ website by clicking here. Images above courtesy of International Cranes Magazine.